A scattering of DOUGALL place names from my "Other Families" collection ― lore that I randomly, sporadically track. Optimistically, pursuing them might lead to clues about pre-1750 origins for my own Scottish Lothian ancestors. A main thoroughfare in Windsor was named for James Dougall (1810-1888) an early merchant and public official when the town was still called Sandwich. Purportedly he chose the name of Windsor in 1836. James married into the old prestigious Baby family; his brother John was the founder of the Montreal Witness newspaper among other ventures. 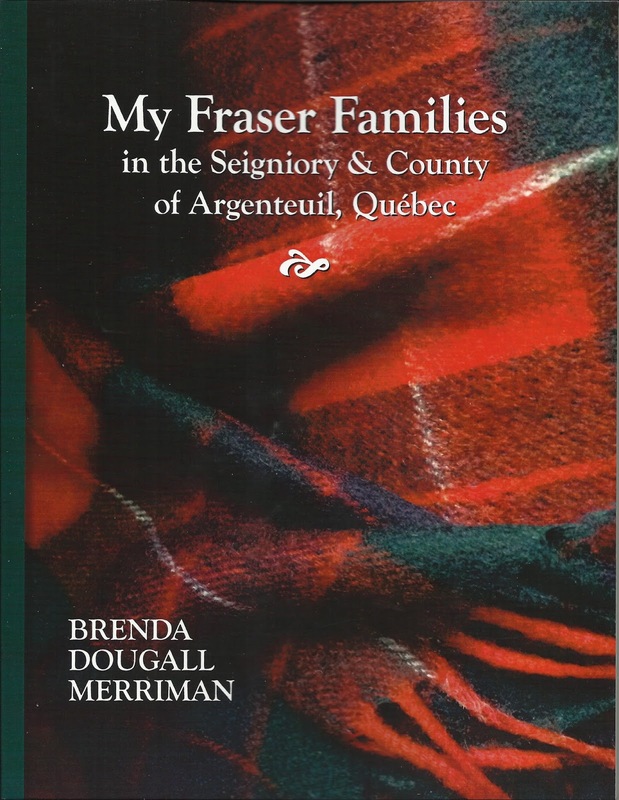 Both were born in Paisley, Scotland, sons of John Dougall (died 1836 Montreal) and Margaret Yuill, according to the Dictionary of Canadian Biography. 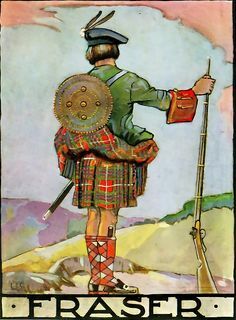 Their origins west of Glasgow probably preclude any known connection to my ancestry ― I'm aware of different Dougall lines in/near Glasgow. I'd come across several references to this park in the former Gibson's Landing. Research led to the widow Louisa Bryson Dougall who originally donated the park land to the Anglican church there. Louisa was a large property owner and social force in the town's formative days. Her husband was George M. Dougall, a journalist in the 1911 census; both were born in Montreal. But all my (born) nineteenth century Georges are accounted for. Thanks to the Drouin Collection on Ancestry.com, I know George Matile Dougall was born 1 March 1866, son of James Duncan Dougall, merchant in Montreal, and Laure Emily Matile on 27 June 1888; a John Dougall was a witness at the June baptism, Zion Congregational church. I believe he is connected to what I call the Montreal Witness Dougalls. Also out west, peripheral reference from a British Columbia newspaper article, unknown yet when or why this street naming was done. Dougalls are alive and well in Kelowna today. I once met a Toronto resident from this family and we could establish no connection. Bruce Dougall's family began spending summers on Lake Couchiching in the late 1800s. Bruce "designed, financed and constructed" the canal over fifty years ago to open up Orillia's development. Clearly the family has been in Ontario well over one hundred years ― I've found nothing about their origins but haven't looked very hard. In 2015 the town re-named the canal to honour him. 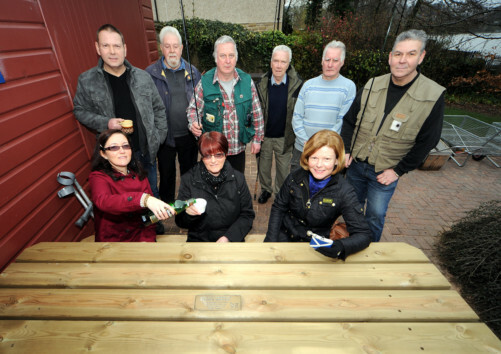 A 2012 news item in the Linlithgow Gazette: a bench at Linlithgow Loch named for him is a tribute to local man Andrew Dougall. Nicknamed "Bushy," he was an avid fly-fisher, founding member of local fly-fishing clubs. 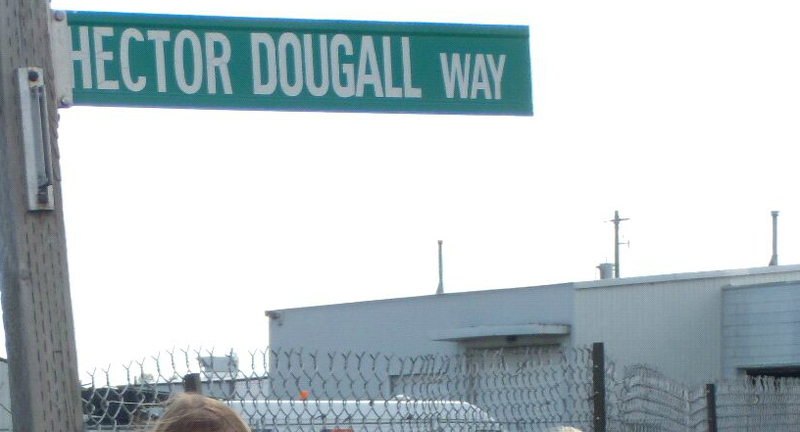 Mr. Dougall died in 2008 at the age of 50. The locale where he loved to spend his time is among my family parishes. And the fishing gene runs strong in my family's Y-DNA! 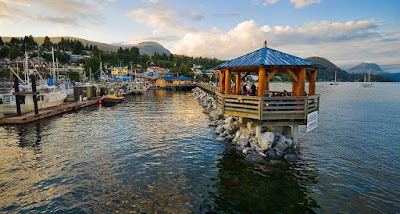 A scenic group of places, if not exactly genealogically rewarding. ... As "done" as any modest family history ever is. The dead ends and brick walls are obvious points for pulling together what you have and starting to write. In my case, that began about seven years ago. More sub-title: John Fraser from Inverness-shire, Scotland and John Fraser from Perthshire, Scotland. Then, as so often happens in the evolving access to sources, more information surfaced as I applied myself to the narrative task. The research continued irresistibly as I wrote. It's difficult for the genealogist to call a research halt; it's difficult for the writer to stop editing the manuscript. But the moral is you have to start writing sometime, and you have to stop somewhere. The print-on-demand publisher I'd used before ‒ Belgium-based ShopMyBooks, formerly known as UniBook ‒ decided to go all "new and improved" and oh by the way, we are deleting your previous books with us unless you re-format them from scratch, imposing a fast-looming deadline. Following our three easy steps. Trust me, the steps were not easy and SMB was not responding to email. One friend complied, with difficulty, and had dreadfully frustrating delivery problems. Originally the SMB process was easy for the technology-challenged. The search for something similar yielded websites like Lulu, CreateSpace, and Blurb. My manuscript was created long ago in 8.5 x 11 size to match my earlier family histories. Not every company would accept that size with the options I wanted and I was not going through 110 pages to re-format to say 8 x 10 with the headaches of re-sizing photos, placement of 243 footnotes, odd-page alignment for new chapters, etc. I chose CreateSpace (CS). So check out finished-size availability before you start formatting your manuscript in a certain size! Uploading with CS is the easy part. And they will assign you an ISBN number if you wish. Because it's an American company, they want tax information which amounts to nothing if you are a non-US citizen, but still, some pertinent forms to go through. Also, because CS is an Amazon company they pay a lot of attention to marketing, sales, and distribution. You can set your own price, including a royalty if that turns you on. Since my only "market" is my extended family, I am not going into high gear over those aspects. I am pleased with the finished product and even more pleased with the discounted cost for my own purchases. Once I reviewed and approved the proof copy they provided, and sent in my own order, the delivery from South Carolina to Toronto was made in an astonishing forty-eight hours. Oopsy, did I mention? - customs duty on the shipment, not onerous. Now I feel I can update the former family histories with some faith and familiarity in the procedure. Without a doubt, further relevant genealogical sources and information and evidence will appear, with or without me. 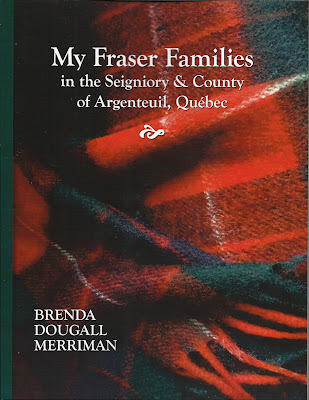 Let's hope My Fraser Families will inspire the millennial generation to carry on.